On Friday, western media reported that South Korea will not lift any Iranian crude and condensate in July, halting all shipments for the first time in six years amid U.S. pressure to cut all imports of Iranian oil from November. 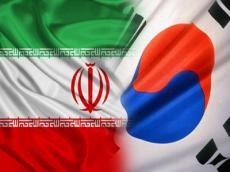 "The embassy of the Republic of Korea denies any claims that it would not lift any Iranian crude and condensate in July," the South Korean embassy responded to the report. "The Korean government is negotiating with the United States to get exemptions from the restrictions on Iranian oil purchases," it said. South Korea has bought nearly 296,000 barrels of oil from Iran in the first five months of the Iranian calendar year (starting on March 21), and is the biggest buyer of Iranian oil after China and India.